Showroom designer of fashion footwear. Factory Outlet Shopping is a new trend that offers an increasing popularity of Italians and their foreign guests buying Italian designer fashion with discounts. In the last years in Northern Italy large Outlet Centres have been established, where the most well-known brand marks of Italian fashion designers are represented. 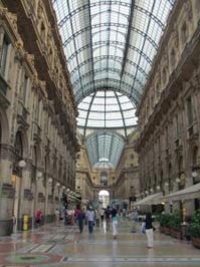 Particularly in and around Milan there is an increasing number of designer Outlets, but few of them are located in the city centre. 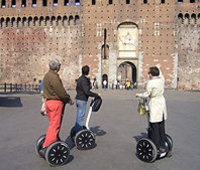 On these pages we have created routes for you to give suggestions how to find tours to the hidden designer Outlets. On the following page we inform about the opening hours and legal holidays in Italy and Milan as well as the dates for summer and winter sales. Extern Link to opening hours in Milan. Shopping addresses for Young Fashion in via Torino and Corso Buenos Aires. Make good deals on the popular weekly markets and road celebrations in Milan: Estern Link When and where markets take place. After a pleasant shopping day you find in the evening relax in the Just Cavalli designer coffee and fun in one of the discotheques in Milan. Extern Link Locations in Milan - Insider information.